As you could probably guess, plantains are a close cousin to the banana; they share the same genus, Musa, and are a hybrid that was created in part to have a starchy, banana-like variety that was less sweet than an actual banana. In comparison, the plantain is almost always eaten cooked, and they are usually large, more angular, and, as I mentioned, contain much more starch in comparison to sugar. 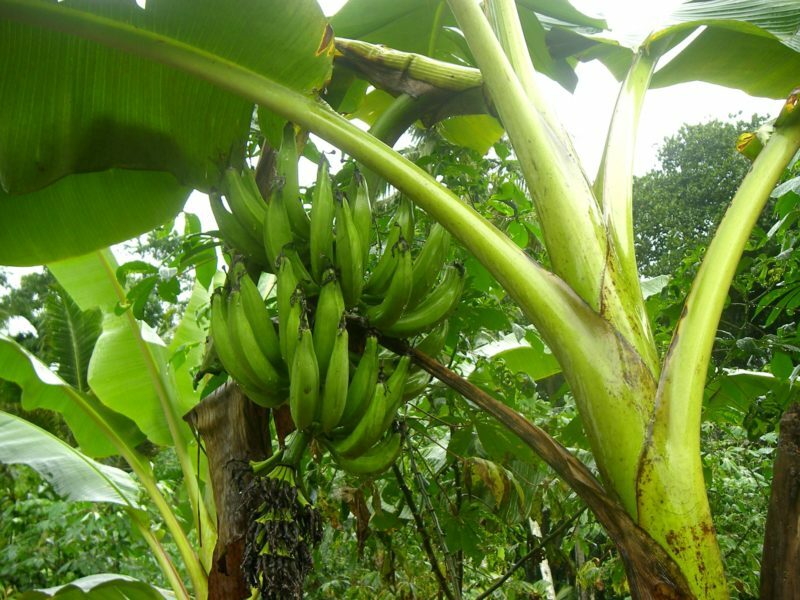 Interestingly, some native cultivars of plantain do not have a different name for plantains and bananas! I know that I LOVE making plantain dishes as an amazing source of carbohydrate in my diet and as a creative component to some of my baked goods; some of my favorite recipes contain plantains. You’ll notice that some recipes might call for green or unripe plantains, while others call for yellow/brown or ripe/over-ripe plantains. The biggest reason for the difference is that, as plantains ripen, the starch is converted to sugar within the plant. These sugars will cause the plant to cook differently. So, for example, someone trying to make tostones would be unsuccessful, as the plantains would burn upon frying. In general, starch is much more durable, because it’s really just long chains of sugars! The great thing about plantains is that they are also a good source of nutrition! 100g of plantain is an excellent source of vitamins C and B6 as well as the minerals magnesium and potassium. Other than that, plantains are best used as a good source of carbohydrate in your balanced Paleo diet. The best source of plantains would be those found fresh in a grocery store, but I know how convenient plantain chips can be! I especially like Artisan Brand, which you can pick up at One Stop Paleo Shop.